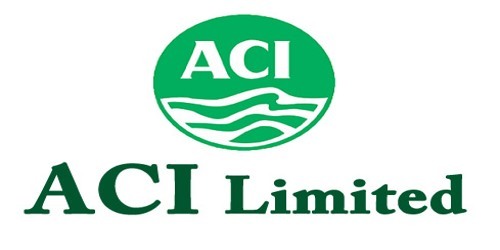 It is a broadly described annual report of ACI Limited in the year of 2009. During 2009, the company contributed Tk. 1,263 million to the National Exchequer in the form of corporate tax, customs duty, VAT etc. This is equivalent to 17.47 percent of our net sales revenue for the year 2009. In 2009, turnover reached to Tk. 7.23 billion from Tk. 5.96 billion of 2008 (ignoring Crop Care & Public Health business worth Tk. 1.4 billion), an increase of Tk. 1.27 billion, resulting in 21 percent growth over the last year. As part of the direct listing decision, the entire Crop Care and Public Health business was transferred to ACI Formulations Ltd. effective 1 January 2009. The cost of sales to turnover has also increased by 21% due mainly to increased sales volume partially offset by lower raw materials cost. Higher turnover contributed to the increase in gross profit by 22% over last year. Profit after tax in totality has decreased to Tk. 987 million from Tk. 1,076 million of 2008 mainly due to lower one-off gain from the partial divestment of shares of ACI Formulations Limited through direct listing in both the DSE & CSE. Earnings Per Share (EPS) has decreased by 8 percent from Tk. 55.44 to Tk. 50.85 per share with face value of Tk. 10 each. However, disregarding one-off gain of Tk. 655 million from divesting, PAT comes to Tk. 332.08 million showing 12 percent increase from last year with EPS of Tk.17.11 (2008: Tk. 15.26). The Board of Directors is pleased to recommend cash dividend @ 105% i.e Taka. 10.50 for each share for the year 2009 to those shareowners whose names will be appeared in the Share Register of Members of the Company or in the Depository on the Record Date which is Sunday, 2 May 2010.